July has been a very good month especially for our students, new and old. Two weeks ago we had mid-year graduations. As my colleagues know only too well, graduation fills me with joy and dread in almost equal measure. I dread mispronouncing the names of our students (even if it is a welcome reminder of how cosmopolitan our student cohort has become). I am joyful because I get to see, from the very front row, what their achievement means to them, and their friends and family. Staff involvement at HASS graduations is always fulsome which is so important for our students. So thank you to those of you who joined in with one of the mid-year ceremonies, and for those of you who were unable to be part of it, I hope you can participate in one of the December graduations. The ceremony will remain memorable to me because the actor Jack Thompson received an honorary doctorate. Jack is an alum of UQ, although an alum who didn’t actually complete his BA degree. But for those listening to his speech, it was evident that Jack possessed something rare – that very special quality of being able to connect with a large audience as though the fate of each of us mattered to him. At one point, in a manner that was both unconventional and yet poignant, he said that his education began when he left University. It reminded me of Churchill’s famous quote that he had a brilliant education until it was interrupted by school! Speaking of graduation speeches, two of my favourites are J.K.Rowling (Harvard, 2008) on ‘the benefits of failure’, in which Rowling describes how her failings after graduating from Exeter University with a classics degree left her at rock bottom. Yet rock bottom turned out to be a ‘solid foundation’ upon which she built her remarkable career. ‘The humanities’, Butler argues, ‘give us a chance to read across languages and cultural differences in order to understand the vast range of perspectives in and on this world. How else can we imagine living together without this ability to see beyond where we are, to find ourselves linked with others we have never directly known, and to understand that, in some abiding and urgent sense, we share a world? Celebrating our completing students quickly ebbed as welcoming the semester two starters became the priority. I’m delighted again to report that the Faculty can report excellent student recruitment into Semester 2. The number of international student acceptances is up from 94 to 163, with the BA up by 87.7% on the basis of a year-on-year calculation. Such terrific numbers illustrate again the importance of the improved program offerings and the outstanding work undertaken by Majella Ferguson and the Faculty’s marketing team. Research has also been at the forefront of the HASS Faculty in July, as it must. 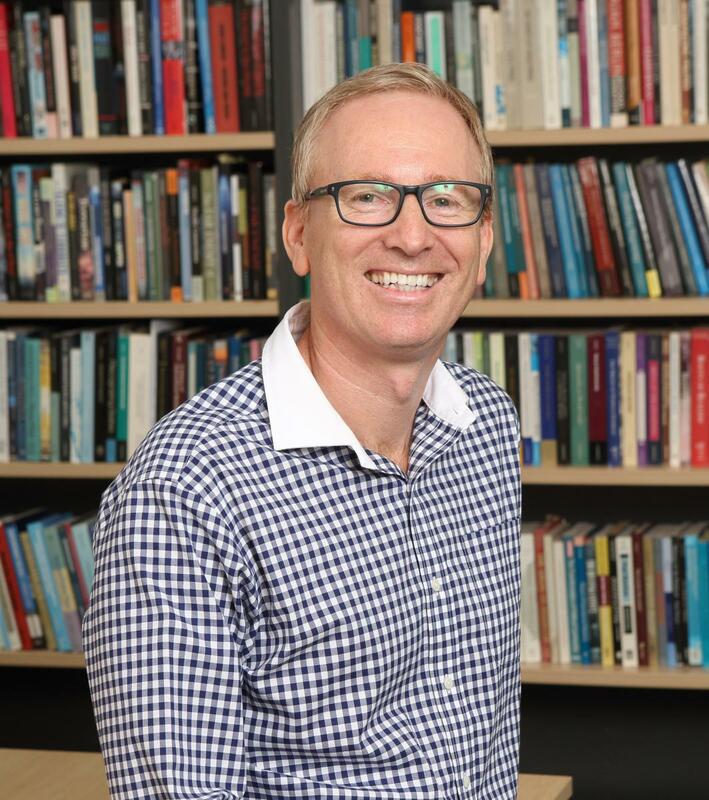 Chris Clarkson from the School of Social Science has had a collaborative paper published in the highly esteemed journal Nature. This is very significant for us as a Faculty given that UQ has long-dominated Australian universities in the Nature suite of publications and wants to remain there. Rankings aside, the publication was significant because of its evident research impact. Chris and his colleagues have a great story to tell; nothing less than shifting the date of the earliest human settlement in Australia to 65,000 years; 18,000 years earlier than archaeologists previously thought. The research impact story was impeccably well coordinated and disseminated. There was a blog piece written by Anna Florin (a doctoral student and member of the research team), and a Conversation piece written by the academic team which were also published on the day of release. The team also had a media launch in Kakadu and as a result the research was picked up on social media, by mainstream national media and by international media with an interest in the topic. It is also noteworthy that the research was enabled by a landmark agreement that was reached between The University of Queensland (and associated researchers) and the Gundjeihmi Aboriginal Corporation representing the Mirarr traditional owners of the site. I very much hope we will be having an event in the Anthropology Museum to celebrate the outstanding research by Chris and his team. Before then, the same museum will be hosting what promises to be a powerful exhibition curated by Michael Aird on the theme of ‘From Relics to Rights: Aboriginal People and Anthropology at The University of Queensland’. It opens on the 6th August – I’m looking forward to it immensely.